The Condor Outdoor Stryke Tactical Sling is arguably one of the best slings that Condor Outdoor has to offer. It is lightweight, quick-adjust, and easily converts from a two-point to a single point sling and vice-versa. It features Condor Outdoor's Transition-loc system with pull-tab for quick adjustments, single bungee construction, a side-release buckle to release the adapter, and 1 1/4 inch webbing, with Duraflex buckles. 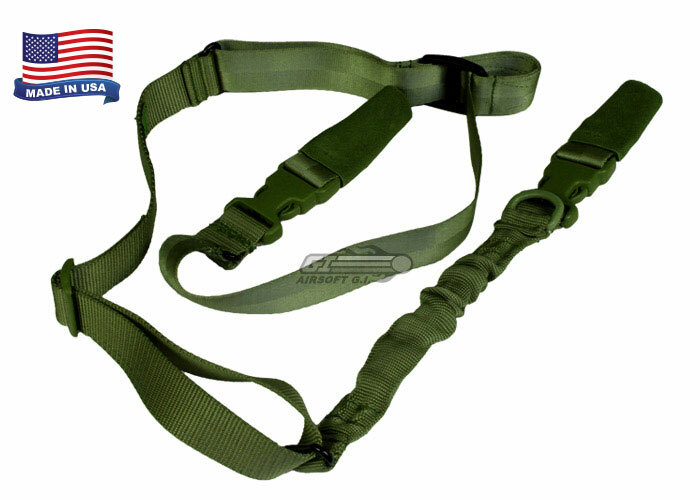 One of the best parts about this sling is that it is actually 100% made here in the USA!